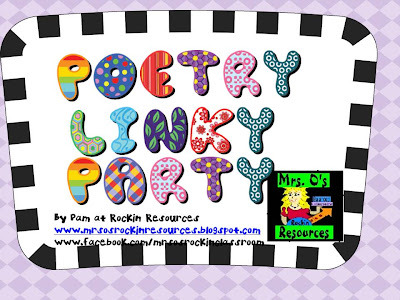 You can find Mrs. O's Linky Party here. I don't know if its because I'm using my iPad, but the link to the linky party doesn't seem to work. Sounds interesting, though. I'm off to check some of your poetry products. 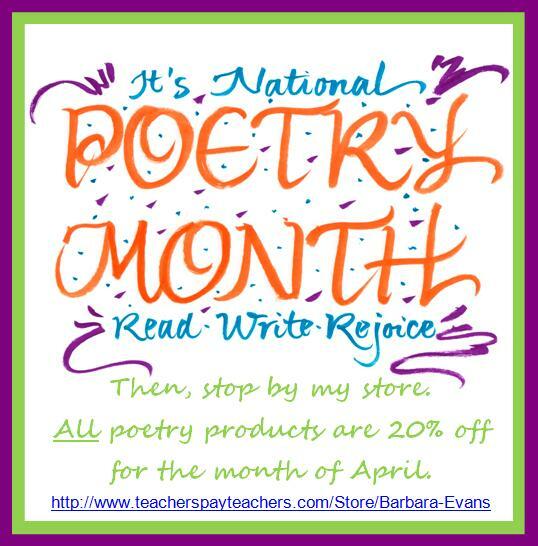 Thanks for the heads-up about poetry month! Thanks for the heads up, Chrissy. I've made a simple link now. Enjoy poetry month!